From Canada's premier author of historical mysteries, Maureen Jennings, comes the haunting fourth novel in the DI Tom Tyler series. Set in Britain during the darkest days of World War II, this is a must-read for fans of Foyle's War, Jacqueline Winspear's Maisie Dobbs series, and wartime dramas. It's late 1942; the war is still raging and the upcoming Christmas season looks bleak. Detective Inspector Tom Tyler is settling into his placement in Ludlow, Shropshire, a small town jammed with people sent there by the conflict. On the outskirts is an Italian PoW camp and many PoWs work on local farms where manpower is sorely needed. Fraternizing is forbidden but, as Tyler knows only too well, the human heart has a way of crossing boundaries. Tyler's job is both to keep the peace and to enforce wartime regulations. Magistrate's court is busy. Then a troubled old man goes missing in a winter storm. The next day his body is discovered in a secret hideout supposedly known to very few. It soon becomes clear that a crime has been committed, and there is no shortage of suspects. Tyler senses that the two evacuee children who found the body are not telling the entire truth, but when he goes to question them further, he learns they have taken off from their foster home. It becomes imperative that he find them. 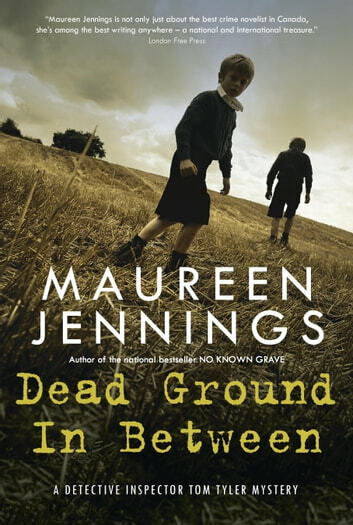 Showcasing her characteristic masterful storytelling and deep empathy for her characters -- from the bravest and most blameless to the profoundly troubled -- Jennings has created another outstanding novel that is both a page-turning mystery and a rich, satisfying reading experience. I thought the story flowed nicely,never knowing who the murderer was til the end.I found that Tom Tyler found a bit of companionship with Rowell while his love life situation still hangs in the air.Can't wait for the next book.